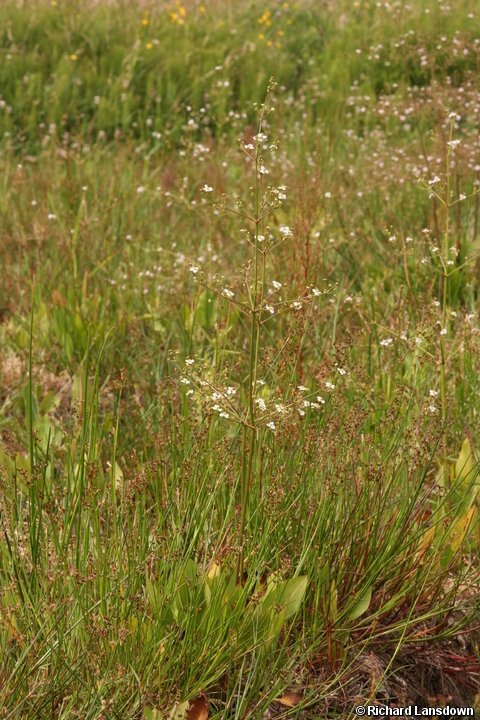 Water-plantain is a British native plant commonly found on the margins of ponds and ditches. It has a stiff central flowering stem which dragonfly larvae like to climb out onto in order to emerge. 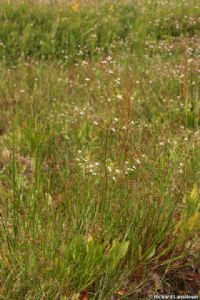 The plant has a large but delicate cluster of many small white flowers. Its basal leaves are prone to being shaded out by taller plants so it tends to exploit habitats prone to disturbance either in the form of fluctuating water levels or physical disturbance such as ditch clearance or trampling by animals.